I walk two steps, stumble, fall down on a cushion of foam material which is fixed on my right arm. 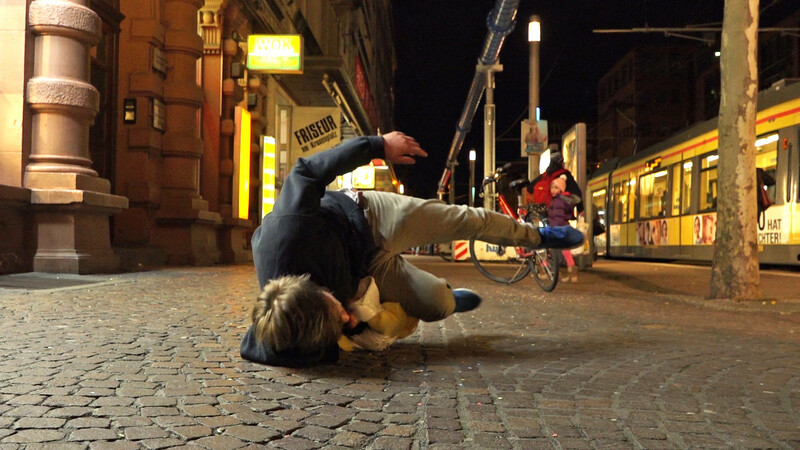 I repeat this action by walking through the urban space of Karlsruhe and Stuttgart. This action produces a fragile limbo.